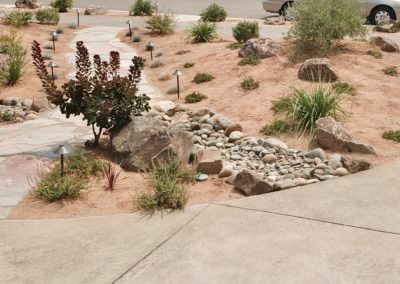 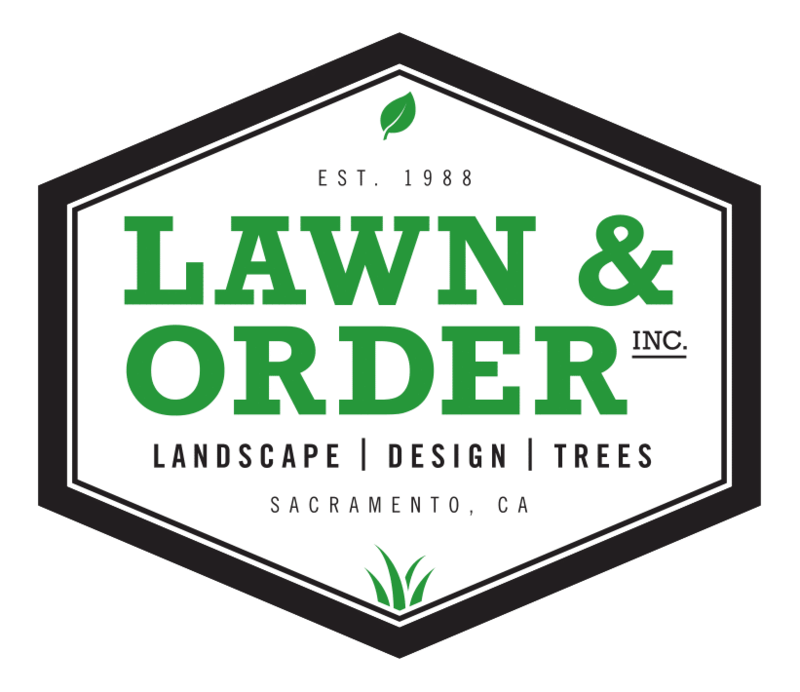 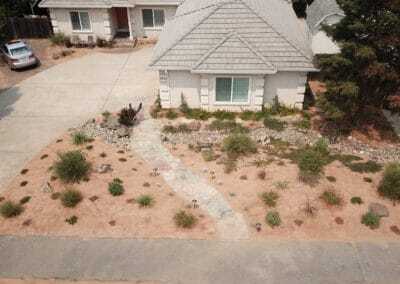 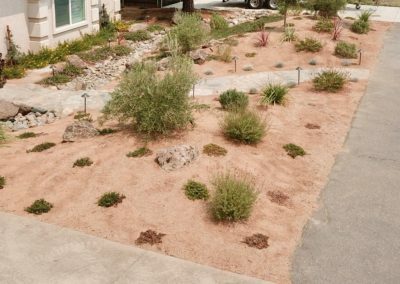 This project required a complete tear-out of the exisiting front yard landscape. 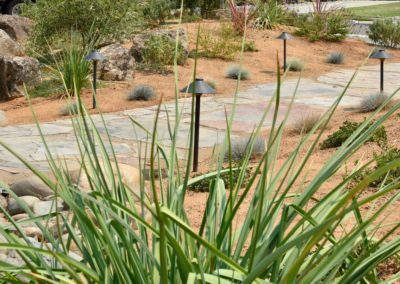 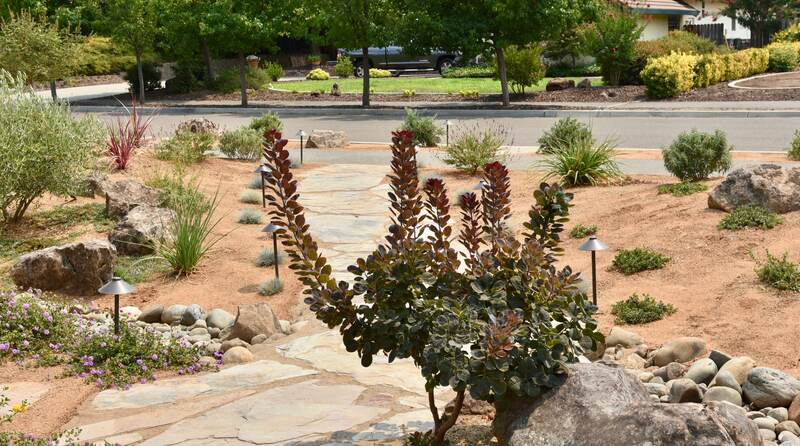 Our client communicated a desire for walk ways and low-maintenance plants. 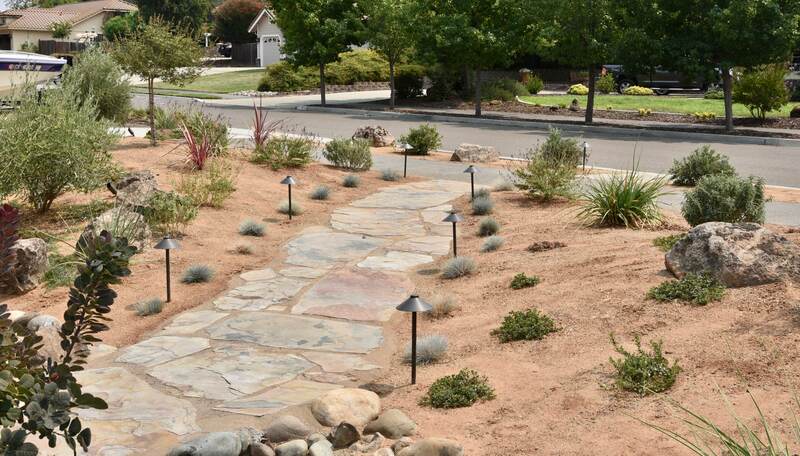 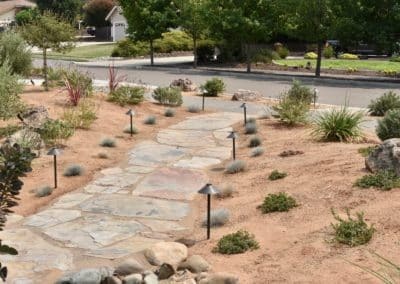 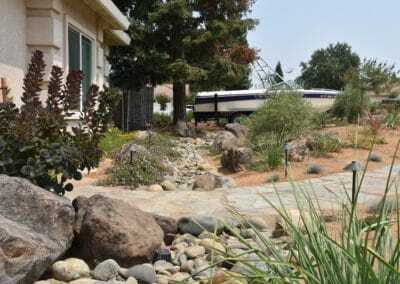 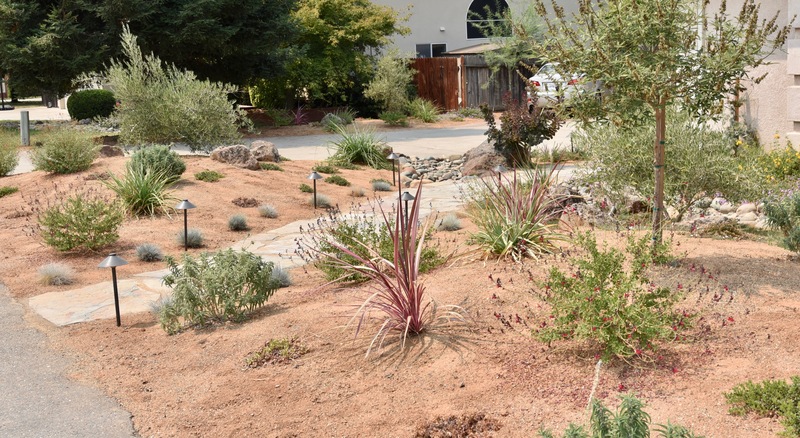 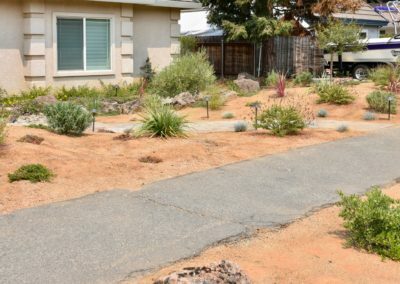 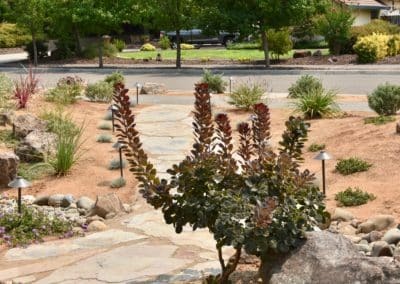 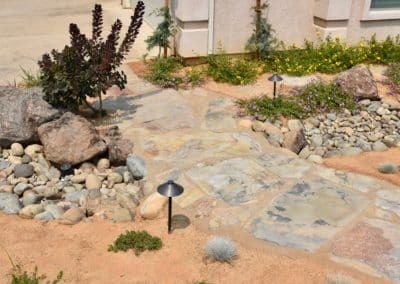 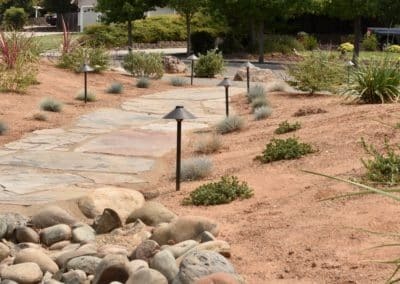 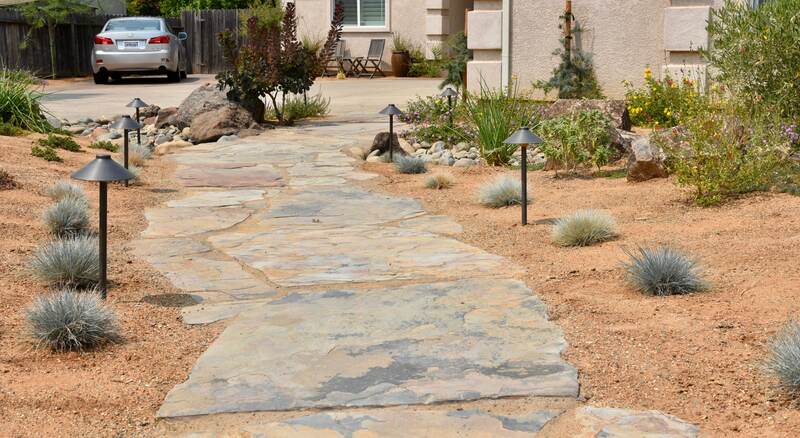 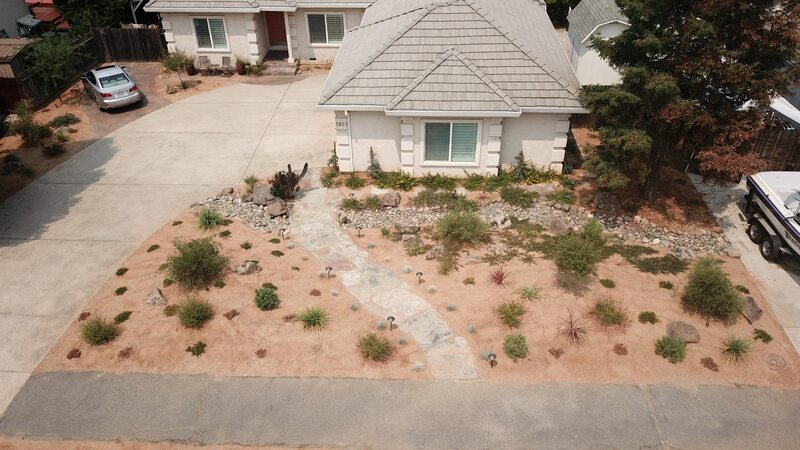 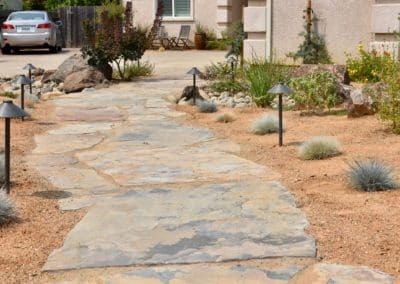 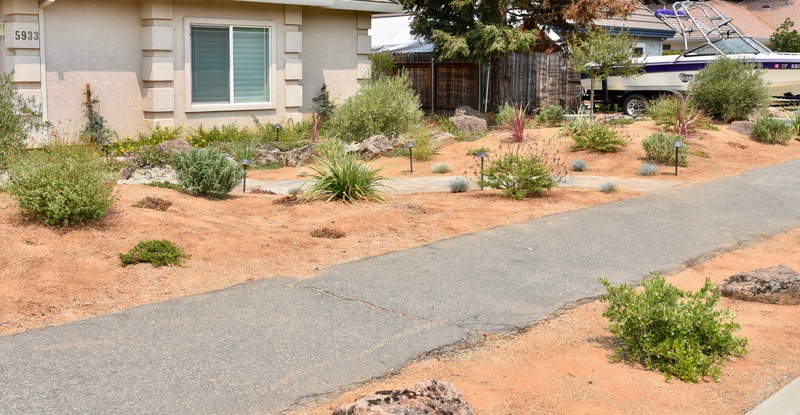 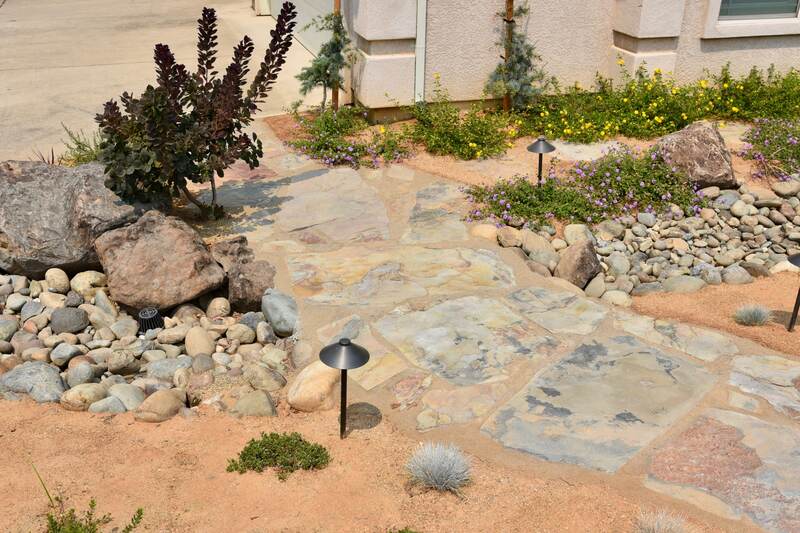 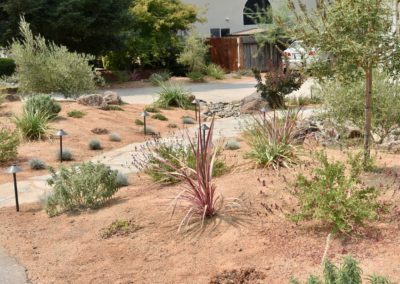 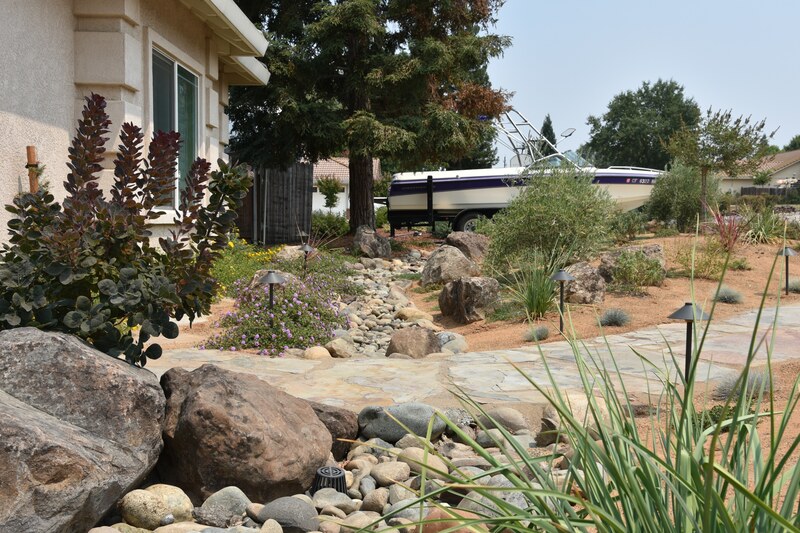 We decided on a DG ground cover to compliment the cobblestone walkways and rock creekbeds, creating a very natural look for this drought-friendly yard.